There will be a lot less fishing for king salmon in Southeast in the coming season, after the Alaska Board of Fisheries took dramatic steps to protect dwindling chinook returns to the region’s major river systems. 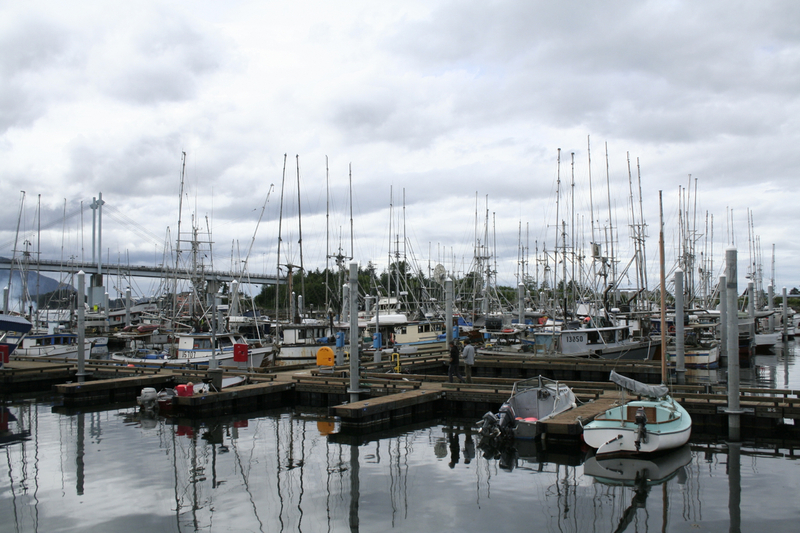 Before wrapping up its 13-day meeting in Sitka on Tuesday, the Board of Fish passed an “action plan” intended to reverse the downward spiral in Alaska’s wild king salmon. The plan targets three primary rivers — or stocks of concern — but leaves the door open for similar conservation measures elsewhere, should they become necessary. The big hit for commercial trollers is ending the winter season a full six weeks early, on March 15. It’s hard to state the economic impact on trollers — each one a small, often family-owned business — on losing a prime opportunity to harvest a bedrock species that is currently earning them close to $13 a pound. Just the opening paragraph of the action plan — the preamble — touched off a flurry of accusations that the Department of Fish & Game was going too far. Board member Robert Ruffner initially thought the preamble was a bad idea, but became convinced that the Taku, Stikine and Situk were not headed in the right direction. The preamble language is a bit of a warning shot across the bow — but at least it’s across the bow of a fleet that will be fishing. “We could have an action plan here today that said none of you get to go fishing at all — for anything — and we’re still not going to meet escapement goals,” Ruffner said. The Board also took some heat for including some language in the preamble about the Pacific Salmon Treaty, which many fishermen consider an unrelated issue to the current conservation crisis. The Pacific Salmon Treaty deals with chinook moving across the international boundary, say, a king that was hatched in a river in British Columbia, but is caught in Alaskan waters. It’s a really complicated agreement — but that’s precisely why Deputy Commissioner of Fish & Game Charlie Swanton thought it was important to incorporate it into the action plan. So the action plan is really a manual for the state to implement significant fishing restrictions on the stocks of concern, and to take whatever other steps may be necessary — by emergency order — to pump the brakes on catching kings headed for other rivers. It’s a huge worry for commercial trollers. “I think staying in business is still a question mark,” Jeff Farvour said. Jeff Farvour began his career as a deckhand in Sitka. He’s worked his way up through a wooden troller to a larger fiberglass boat which picked up on the very day last season when Fish & Game announced that there would be no second king opener in the summer. The action plan will be a bitter pill. Farvour and his fellow trollers want the king salmon fishery to recover, but it’s going to take a while. Salmon trolling remains one of Alaska’s few limited-entry fisheries where young people can buy in on savings, rather than taking out huge loans — and Farvour’s concerned about them. Troller Tad Fujioka also sees an economic problem in the action plan: Losing six weeks of spring trolling means a loss of 20-30 percent of their income for some fishermen, but residents of coastal waters — like Sitka — can still pull together decent season fishing out on the ocean on tolerable winter days, and during the brief summer opener. Elsewhere, it’s going to be difficult make it, especially when the action plan closes down fishing completely in the places like the Upper Lynn, Behm, and Seymour canals — prime territory for trolling on protected inside waters. Fujioka feels those trollers are bearing a disproportionate share of the conservation burden. But Fujioka, like Farvour, recognizes that it’s critical to allow as many wild kings to return to Southeast’s rivers as possible. “It’s unfortunate that the biology of the stocks made it such that it had to be this way,” Fukioka said. Next articleDisenchanted! AFAA and Cyrano’s are joining forces.